Weight: 4 lbs 3 oz. Ireland has a rich history of tradition and mythology. From antiquity and medieval sources we hear tales of heroes and faeries, gods and monsters, that have passed from legend into scholarship and popular culture. One of the most prominent figures in Irish lore, however, was not an individual but an office – the Ard-Rí, High King over all Ireland, who brought together the smaller warring kingdoms under one rule. The High Kings of Ireland purportedly ruled over Ireland from 1500 BC until the Norman invasion in the late 12th century AD, though scholars are quick to point out that much of that early history is considered to be mythological. According to tradition, the list of High Kings includes many heroes of Irish lore including Lugh of the Long Arm. Lugh is a famous heroic figure in Irish mythology, having ruled as High King for two decades as well as being a member of the Tuath Dé Danann, the pantheon of the ancient Irish people. As High King, Lugh was granted Fragarach, the sword of the sea god Manannán mac Lir. The magic blade Fragarach (Gaelic for “The Answerer”) was a powerful sword forged by the gods and capable of cutting down the walls of a city. The legends also stated no one could lie when The Answerer was held to their throat as it magically compelled people to speak the truth. Fragarach passed through the hands of several of Ireland’s High Kings, and is one of several mythic weapons associated with the seat of power that ruled over Ireland for over 2000 years. The Darksword Armory High King Sword is inspired by those legends. 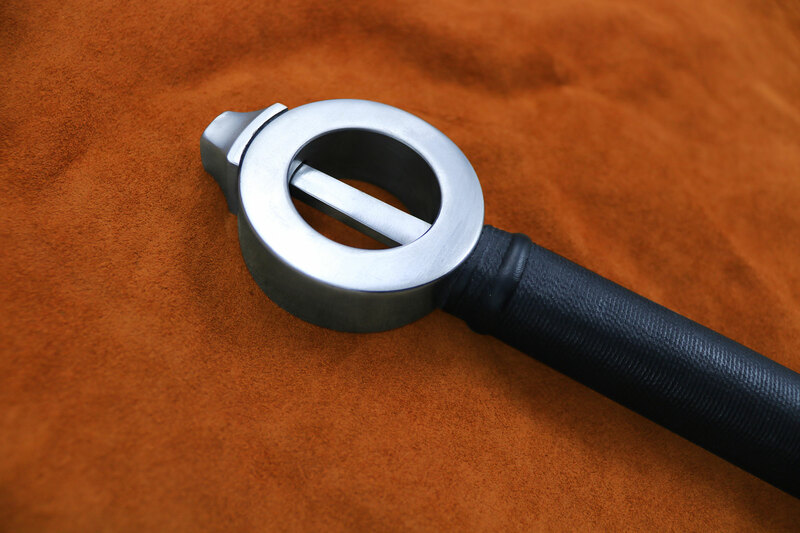 One of the most distinctive features of this particular sword is the pommel, which has an open ring shape. 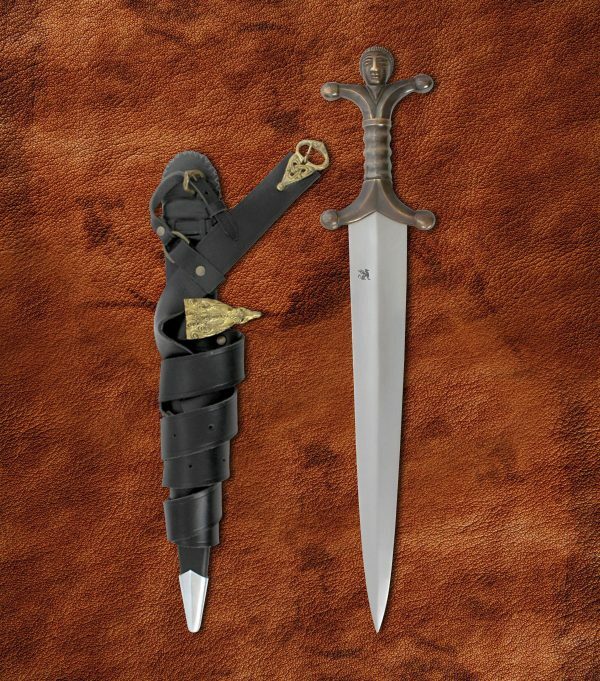 This style is typically called an “Irish Ring Hilt,” and has been seen on historical Irish swords as well as examples in Celtic artwork. 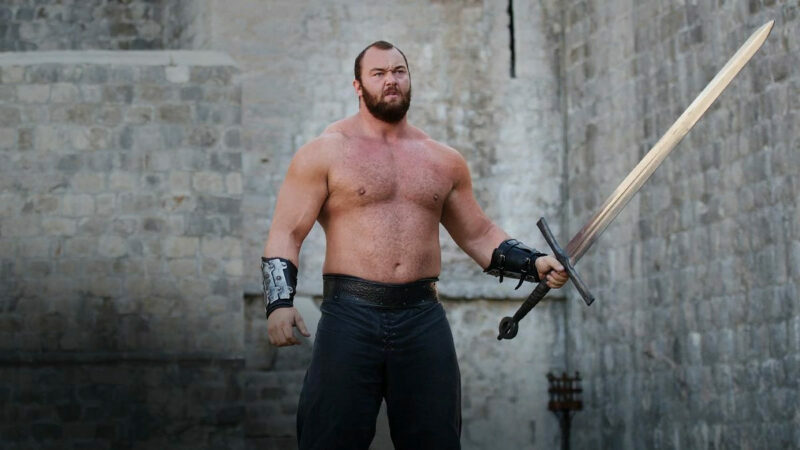 It has also made its appearance in modern fantasy, most recently on the sword belonging to the warrior known as “The Mountain” in HBO’s Game of Thrones. The High King takes some of its inspiration from all of those sources, and is our take on a mythological Irish weapon once wielded by those ancient rulers. 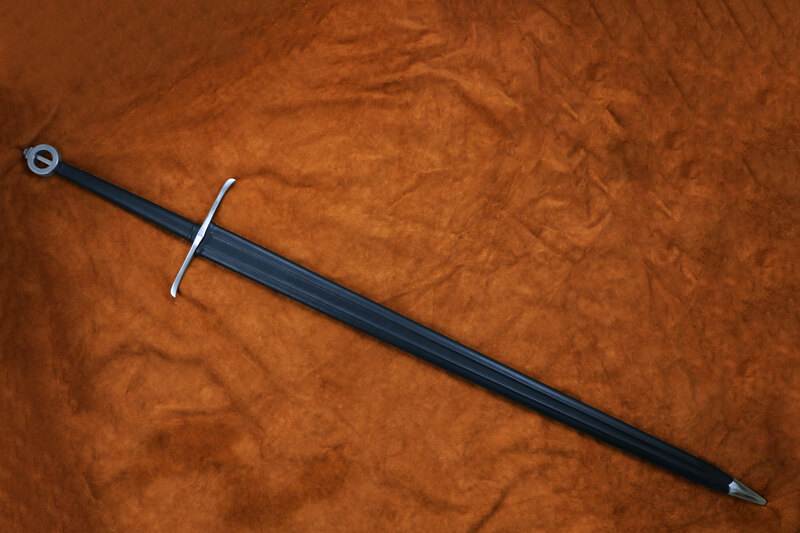 This is one of Darksword Armory’s largest swords to date. 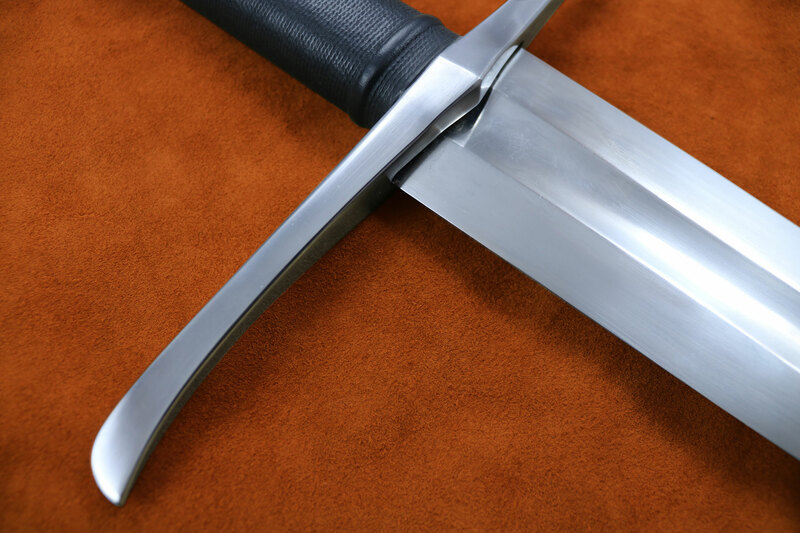 The massive (X) inch broad blade is designed with the claymore in mind, able to be an effective weapon for single combat or in large battles. A foot soldier with this in hand would be able to sweep a knight in armor off of their heavy horse and finish them off on the ground. The (Y) inch handle allows for a wide, two-handed grip, maximizing the torque that can be applied in each swing. 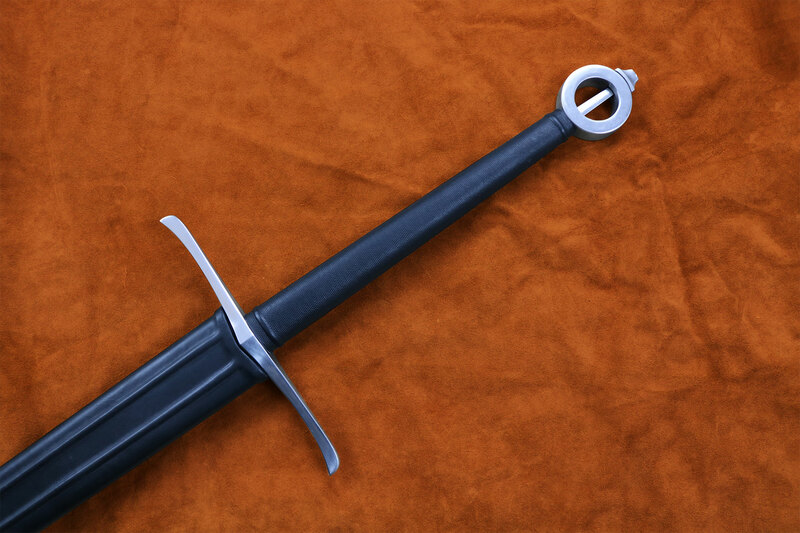 The tang on this sword is wide and thick, and becomes visible when it passes through the open pommel. 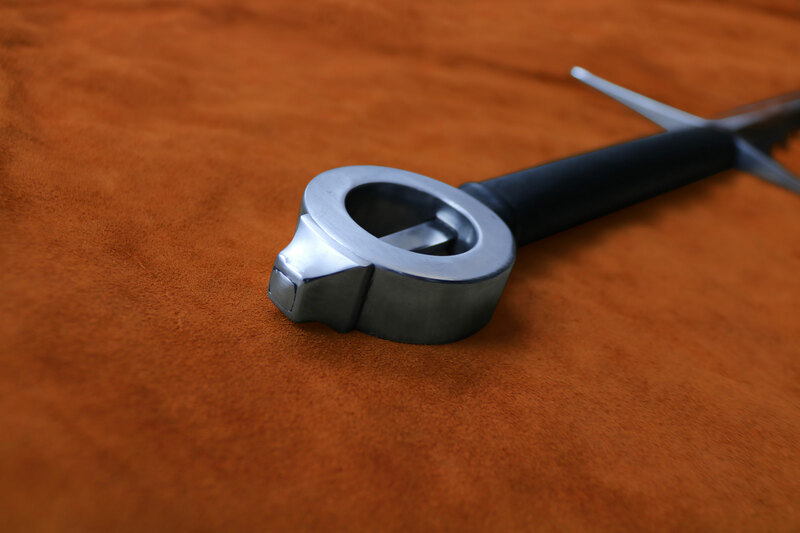 The guard is a slightly curved modern design, which is our way of adding a personal touch on this piece that is inspired from history, mythology, and fantasy.